Coffee is served plain (no cream or sugar), with cream, milk and / or sugar. 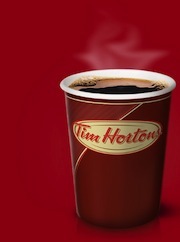 “Double-double” usually means two cream and two sugars, triple-triple three creams and three sugars, etc. They also have good doughnuts, which are sold with no tax if you are buying 12-pack (a Dozen). 2. Canadians love ice-hockey. Major cities have their own teams, and when the game is in session it is very unlikely for any productivity to remain. I worked as a door-to-door salesperson for Telus, and during the Vancouver Canucks games (especially play-offs) it was nearly impossible to come across a household, that did was not in front of the TV watching The Game. 3. Canadians recycle. You will be frowned upon for throwing a plastic bottle in the garbage bin. Almost every mall, office and residency will have separate bins for trash, plastic and cardboard. Anytime you buy a recyclable item, you are charged a bottle deposit, which is usually 5-25 cents depending on the size of the container. This fee is refunded if you bring the bottle to a recycling depot. Many unlicensed scavengers (mostly homeless folks) collect bottles and cans in places for recreational activities for that purpose. There are rumours, that the City gives them an additional $20 per day for sorting the recyclables out from the bins. All garbage is split in three categories: non-recyclables , recyclables  and organic waste + yard trimmings . There are regular garbage bins (large ones), blue bins (for cans and bottles), blue bags (for newspapers and inserts), yellow bags (for paper products, such as envelopes, cardboard, egg boxes, etc.). Recently the residents of the City of Vancouver started became a part of a Green Bin Program, where the garbage bins are emptied once every two weeks, and there is a new separate bin for yard trimmings and organic waste (e.g. food scraps) to be emptied once a week. 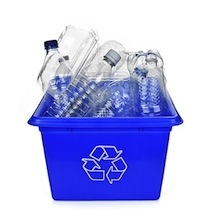 For more information on what goes in recycling, visit this page. The City has developed a program for other types of garbage. If you have furniture, mattresses and similar items, you’d have to take them to a landfill or a transfer station, and pay a fee. I prefer to give my old mattresses away for free to avoid those and the hassle of transferring. 4. 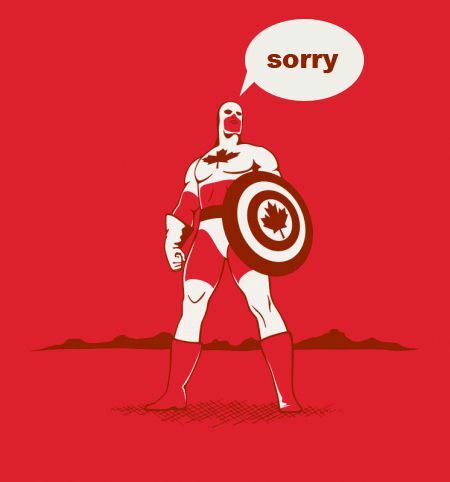 Canadians are very polite. Learn to say and get used to hearing “thank you”, “please” and “have a great day” many times on a regular basis. You can walk on the street, accidentally tap a stranger with your shoulder, and have them have an innocent bystander apologize in front of you for not leaving enough room for you to pass. 5. Canadians are mostly friendly. Do not get alarmed when a stranger starts talking to you in a line, coffee shop or in public transit (unless you are a kid, and they claim to have candy in that van over there). Try to be nice and try to carry on a conversation: many people who do that have interesting lives and a lot to talk about. I have made friends with plenty amazing individuals that way. 6. Canadians have free healthcare, which is why you may frequently hear “go see a doctor”. As you may remember from my previous post, non-citizens have to pay for it. If you have anything to add or correct, leave me a comment below.